The building of Impington Hall was begun by John Pepys in 1579, and the Pepys family remained there until 1805. The Hall was not completed at the time of John Pepys death, but he left instructions concerning the exact way in which the work was to be completed. It was as well-built and beautiful as many a Cambridge College. In the time of Oliver Cromwell’s Commonwealth (1649 – 1659) the hall was owned by Talbot Pepys. He was the uncle of Samuel Pepys, the Diarist. Talbot was the Member of Parliament for Cambridge in 1625, and he was also the Recorder who signed all marriage certificates. In mentioning Cromwell we note that he visited Impington and Histon and while here is reputed to have stayed at the red brick house near the junction of Station Road and High Street, Histon. Rode to Impington where I found my old uncle sitting all alone, like a man out of the world; he can hardly see, but in all else he do pretty livily. At Cambridge . . . at night I took horse and rode with Roger Pepys and his two brothers to Impington. Lord’s Day. Got up and by and by walked into the orchard with my cousin Roger and there plucked some fruit. To church and had a good plain sermon. My uncle Talbot went with us, and at our coming in, the country people all rose with much reference, and when the parson begins he begins ‘Right Worshipful and dearly beloved etc’ to us. The gatehouse to Impington Hall. Now flanking the entrance to the Village College playing fields, sports facility. In 1805, Mrs Anne Pepys died and the Hall passed to a junior branch of the family, the Pine-Coffins of Devon. They did not take possession of it undisputed, because a man by the name of Panton claimed in 1807 that he was Lord of the Manor of Impington; but as he made similar claims in respect of several other manors the claim was not taken seriously. The name of the family is commemorated by the road called Pepys Terrace. By 1872 the Hall was in the possession of Charles Bamford, for on the 16th November of that year he offered it for sale, giving as his reason that he was leaving the country. The catalogue of the sale is a magnificent publication, containing an engraving of the Hall from the terrace. It was bought by Mr Caldwell. At the beginning of the 20th century the owner was Mr W.A.Macfarlane-Grieve, and later Mr Morey-Weale. In 1921 Bidwells described Impington Hall as “a mansion of character with delightful grounds”. In 1926 it became the property of Messrs Chivers & Sons, who later offered to give it to Cambridgeshire Education Committee for educational purposes, but the latter declined to accept it, regarding it as a potential liability! During the Second World War a unit of the army was billeted in the Hall, and caused quite a lot of damage to it. After the war the Hall was unoccupied. It was pulled down by the Chivers family in 1953. It is very sad to realise that Impington has lost all its larger houses. 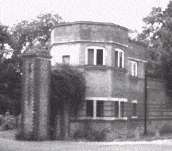 Besides Impington Hall there was a beautiful old mansion at 47 Cambridge Road with extensive gardens. The last owner was Mr Lamb, and when he sold it in 1972 it was pulled down by developers. The same happened to Manor Farm House in New Road, and also to Homefield House.